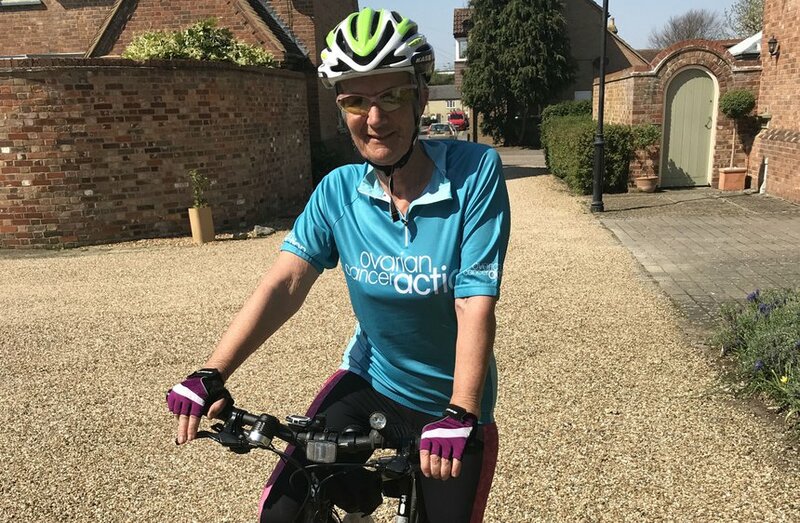 "Getting back to fitness has not been easy but I'm determined that I'll conquer this ride"
This time last year Rosie couldn't walk 1km without a rest, yet alone contemplate riding her bike, as she was just completing six cycles of chemotherapy for ovarian cancer. Now she is gearing up to take on Ride the Night for Women V Cancer. "On 5th May I plan to ride 100km to help raise awareness and funds to prevent and treat this terrible disease. Funds raised by Women V Cancer Ride the Night will support three vital women’s cancer charities: Ovarian Cancer Action, Breast Cancer Care and Jo’s Cervical Cancer Trust. Cancer has had a devastating impact on me and my family so these are causes close to my heart. Sadly my story was preventable. My mother died at 47 from breast cancer and her sister died in her 60s from ovarian cancer. This was the result of a BRCA1 gene mutation. If only we had known what we know now, then my family and I would have been saved so much pain and heartache and the NHS would have been saved a small fortune in treatment costs. Thankfully the next generation will all have the advantage of genetic testing and advice. Our BRCA checks were only carried out in 2016 after my youngest sister was diagnosed with ovarian cancer. By the time we were checked three of us had ovarian cancer and my daughter had a Grade 3 breast cancer requiring chemotherapy and double mastectomy. My youngest sister has sadly had a relapse and required further chemotherapy. This has had a devastating effect on her quality of life. My other sister nearly lost her life after chemotherapy. Thankfully she has now recovered well. Getting back to fitness has not been easy but I'm determined that I'll conquer this ride. 100km is a daunting prospect, but aching sit bones are nothing compared to the pain I have seen my sisters and my daughter endure. These diseases don’t just affect physical health but have far-reaching emotional consequences on personal relationships too. Help us improve awareness, testing and treatment by donating to this cause via my Justgiving page." Inspired to take part in next year's event? Applications for Ride the Night 2019 are now open!